Gel non-slip grip mat holds phone, sunglasses, or any small item from falling off your dashboard. 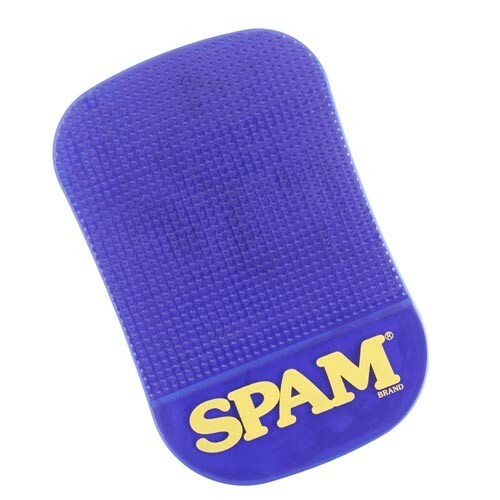 Blue with yellow SPAM® Brand imprint. Perfect for hands-free or bluetooth use. No sticky adhesives. 6" X 3-1/2"